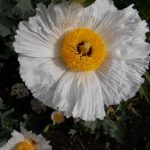 The spectacular flowers of Romneya coulteri are to be seen in the Queen Mother Memorial Garden on the north boundary border. 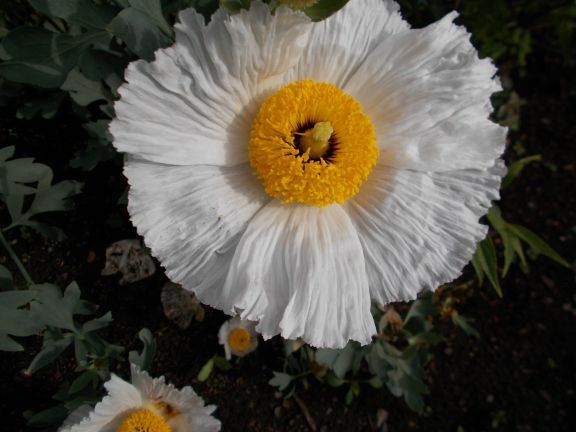 The large white pleated petals surround the prominent ring doughnut grouping of yellow anthers. 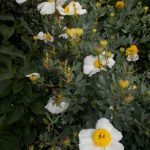 These lightly fragrant flowers are produced on the current season’s growth of glaucous blue foliage and are more prolific given a warm, sheltered situation with well-drained soil. A native to Mexico and California where it will bake in their summer temperatures. 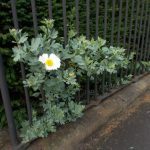 Considering the lack of sunshine this month in Edinburgh it illustrates how adaptable the plant is. 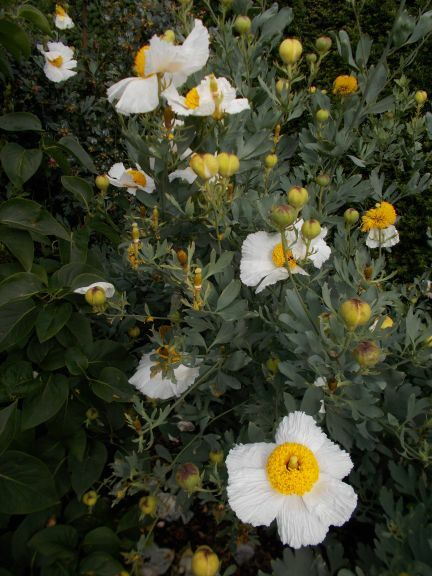 Resentful of root disturbance, Romneya will sucker away from the parent plant and may become invasive where climate and soil suit. Here it has razzled through the Yew hedge and protrudes through the boundary railings. 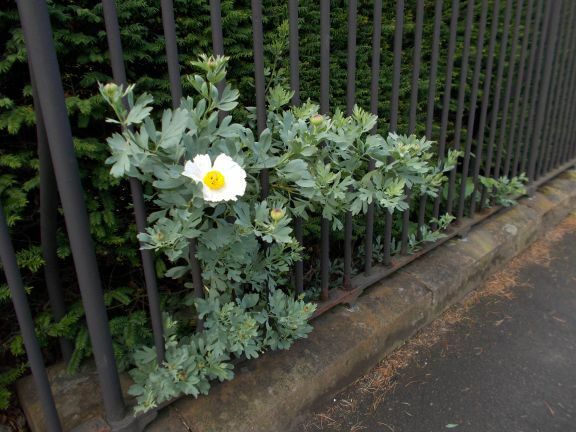 During the winter these outlying shoots can be severed and transplanted.